Enter your Studio Potter username. Sanver Özgüven. 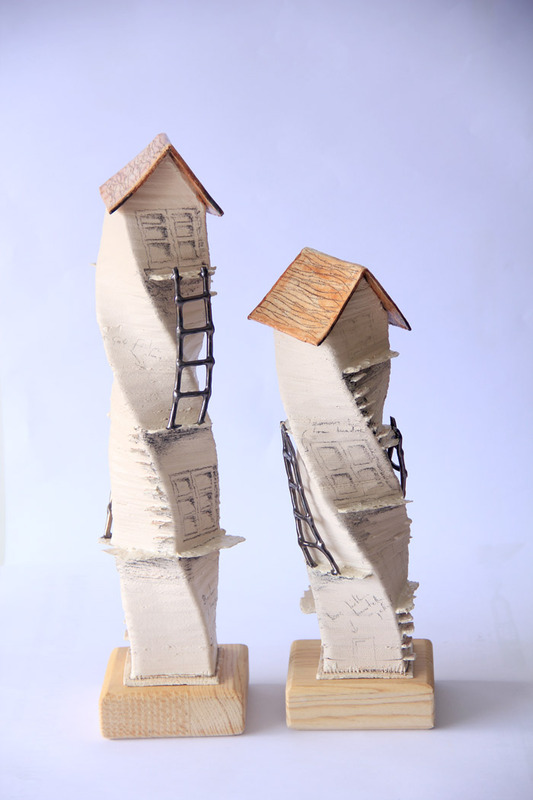 Natilius Houses Series, 2016. 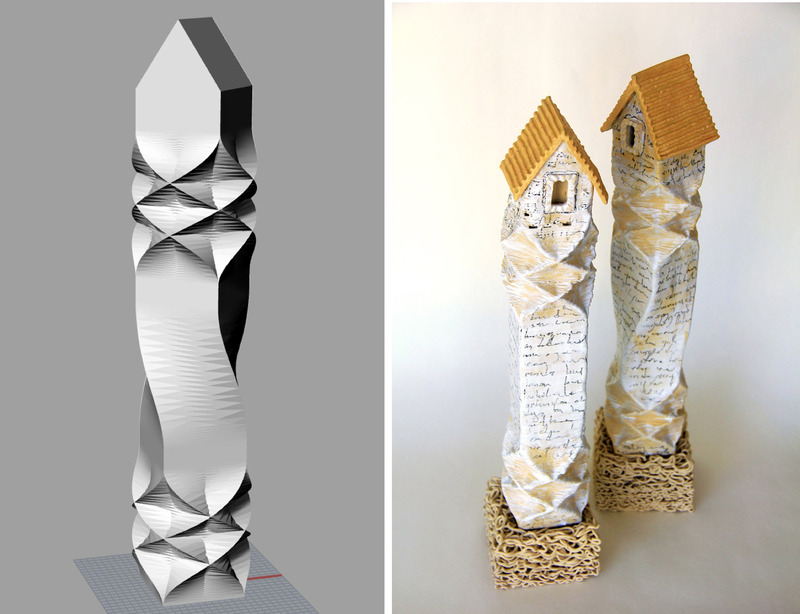 Digital rendering, left; finished sculpture, right. 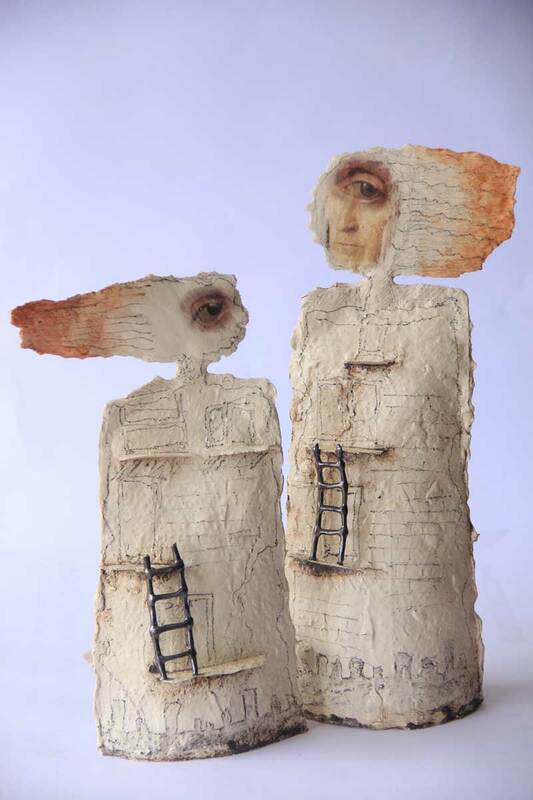 Paper clay, which is formed by mixing cellulose fibers and clay in different ratios, is an important material in terms of ease of use, especially for the opportunities it offers artists. Its strength both wet and dry and its ability to perform without cracking or deforming are among its most attractive aspects. 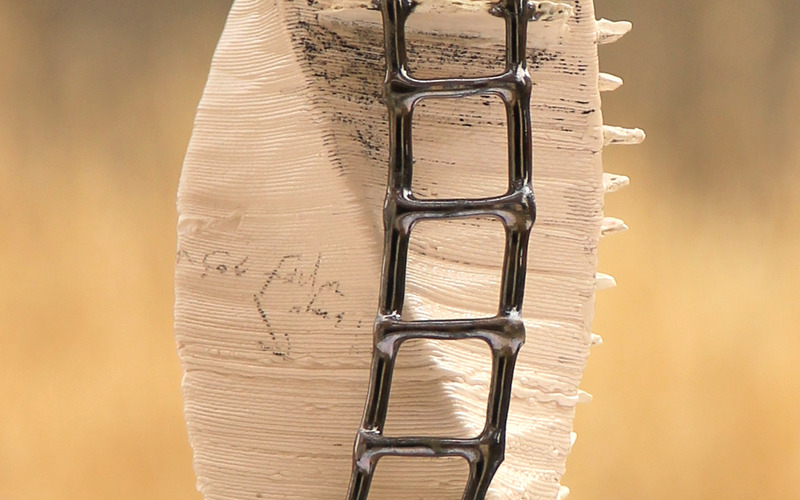 Three-dimensional printers have become increasingly popular in the last decade and as a result of the harmony of these printers with ceramic materials, many artists have produced a variety of artworks using this technique. 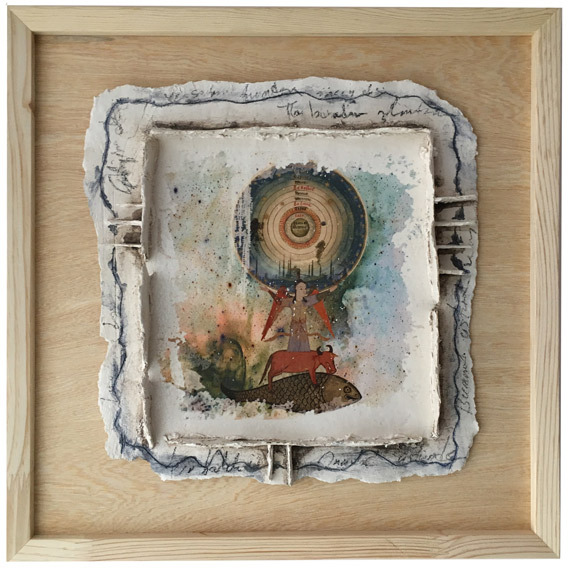 I use paper clay frequently in my practice and have gathered together an account of several new possibilities provided by digital technology. I’ve included an explanation of digital prints on ceramic forms built using paper clay and a discussion of the use of 3-D ceramic printers and paper clay together. 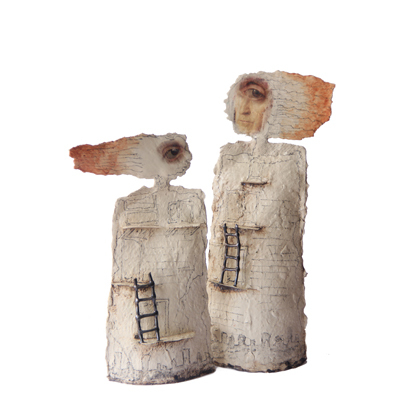 Using paper clay, I design forms in simple, primitive structures representative of the human form. These forms’ simplicity is necessary for applying other pictorial elements on the surfaces using digital prints. In the body parts of the figures, I’ve made the textural traces of the paper clay explicit, while in the facial parts where decal printing is used predominantly, I’ve avoided these textures. I select visuals from faces and eyes of figures in European paintings of the Renaissance and Baroque periods, and using the computer, I re-create them digitally. In manipulating some of these images, I changed only the color tones; in others, I altered the images drastically. In “Man in the City Series," I aimed to establish a relationship between the ceramic surfaces and the Renaissance period paintings used in the face of the figure. Through digitization, I’ve emphasized the cracks that have appeared on the oil painting over time, and matched the image tone to the colors of the raw clay body. I manipulated the edges of the digital prints applied to the body of the figures to appear old and ruin-like. Sanver Özgüven was born in Eregli, Turkey, in 1983. 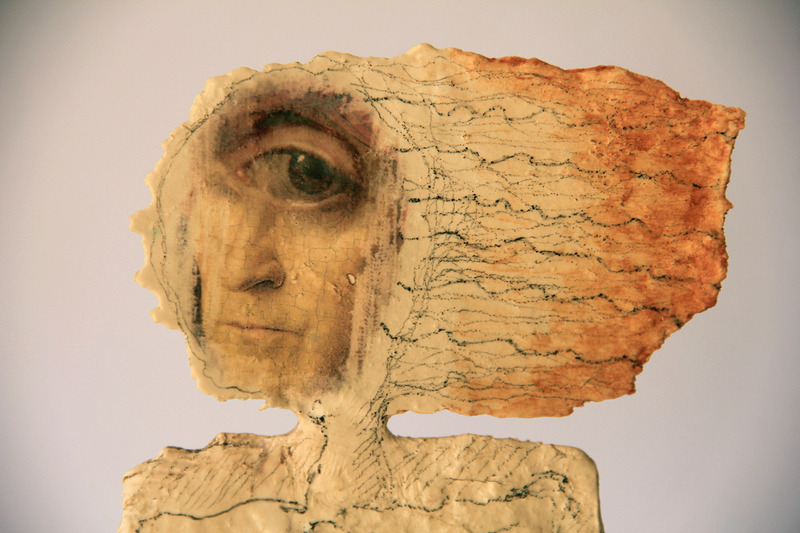 He has a Bachelor of Arts in ceramics and a Masters of Fine Arts in graphic design. In 2011, he earned a second Master of Arts from Canakkale Onsekiz Mart University focused on ceramics and CAD programs. After studying ceramics in Lithuania, Özgüven earned his Ph.D. at Hacettepe University in 2017. He is an assistant professor at Necmettin Erbakan University, Konya, Turkey.